With an occasional infidelity (solely based on curiosity of a scent), SABON Body Scrubs' are the only ones I use. Depending on the season, I like to route between all the SABON scents, and Lavender Apple (one of my favorite scents from the brand) is a definite Spring must have! (saying it smells AMAZING is an understatement! ), Lavender Apple is an engaging delicate scent that lingers on the skin; I can't help sniffing my forearms throughout the day. Also, I find the scrub's salmon-pink color adorable. 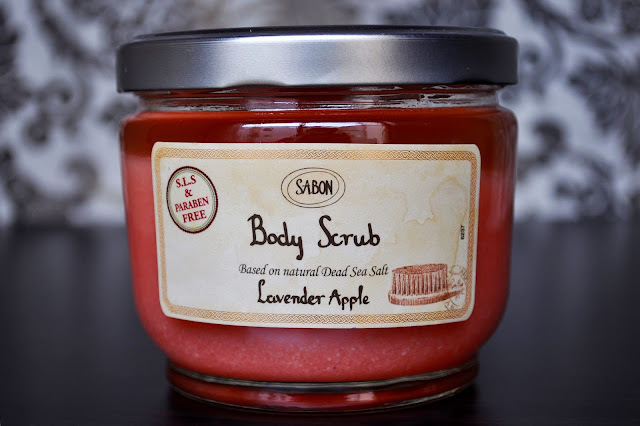 And, because you'd like to read my other SABON Body Scrub posts, please read here, here, and here. Which SABON Body Scrubs have you tried? Oh my! This sounds amazing. This post made me so curious about this that I will surely go check this out. If you've never been to a Sabon, drop whatever is it you're doing right now, and go!